The lack of well-defined and transferable federal grazing rights presents serious obstacles to resolving rangeland disputes in a cooperative and mutually beneficial manner. These obstacles have important effects on the decisions to raid or trade among groups seeking to influence federal rangeland policy. 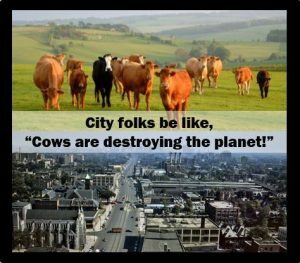 Reposted from Free Range Report. The lack of well-defined and transferable federal grazing rights presents serious obstacles to resolving rangeland disputes in a cooperative and mutually beneficial manner. These obstacles have important effects on the decisions to raid or trade among groups seeking to influence federal rangeland policy. As a practical matter, conservation groups have been prohibited from acquiring grazing permits to use for conservation purposes, effectively taking the trading option out of the equation. A detailed understanding of the history of U.S. federal rangelands helps identify several specific obstacles to trading within the federal grazing system. First, the use-it-or-lose-it provision requires ranchers to graze livestock on their permitted allotments or risk losing their grazing privileges. If permittees abandon grazing activities on a significant portion of an allotment, the BLM would have an obligation to transfer the permit to another rancher willing to use the allotment for grazing purposes. While under some conditions grazing allotments can be “rested” for short periods, permittees cannot end grazing altogether on permitted allotments. This clearly creates obstacles for environmental groups attempting to acquire grazing permits for non-grazing purposes. Second, the base property requirements under the Taylor Grazing Act create similar barriers to trade. That is, groups seeking to acquire grazing rights must purchase or already own qualifying private base properties to which grazing privileges can be assigned. Moreover, unlike the grazing system on state trust lands in the United States, grazing rights are not determined by competitive bidding. This requirement raises the cost of trading grazing rights and restricts who can hold federal grazing permits. Third, federal grazing permits have generally been restricted to those operating in the livestock business. In 1995, new BLM regulations sought to eliminate this requirement. The regulations, however, were challenged in court by the livestock industry. The U.S. Supreme Court upheld the BLM regulations in Public Lands Council v. Babbitt (2000), but the use-it-or-lose-it requirement effectively limits grazing permits to livestock owners. Therefore, while the exact requirements may have been lifted, the federal grazing system still imposes barriers to holding permits for non-grazing purposes. Kerr helped organize a campaign to promote buyouts as a practical solution to the legal and political battles over grazing. Federal rangelands often have low economic value for grazing purposes, so many environmental groups likely have sufficient resources to buy out ranchers’ permits. But even if environmentalists did not purchase grazing rights, some believe there is a strong case for the federal government to buy out ranchers. Because the costs of administering the federal grazing system are so high, and the revenues derived from those lands so low, the federal government consistently loses money managing federal lands for grazing purposes. Thus, some have argued that it would pay to abolish the existing grazing program and buy out all grazing rights. To that end, Kerr helped launch the National Public Lands Grazing Campaign which promoted a Voluntary Grazing Permit Buyout Act, calling for the federal government to compensate public lands ranchers who agreed to relinquish their grazing permits for $175 per AUM. Under this proposal, a rancher with a permit to graze 500 cattle for five months would receive $437,500. The permits would then be retired by the federal government and managed for environmental purposes. Although the campaign has yet to succeed, it illustrates a genuine interest in resolving grazing disputes through trading and a general dissatisfaction with the traditional regulatory approach to protecting federal rangelands. Despite the obstacles to trade, there have been several innovative efforts to trade as an alternative to raiding to resolve disputes over the federal rangeland. In some cases, environmental groups have successfully paid ranchers to relinquish their grazing permits to protect wildlife habitat. Others have purchased base properties and acquired the federal grazing permits attached to them, spending their own money raised from private member donations. Environmentalists have bargained with ranchers to retire federal grazing permits, compensated ranchers for losses due to wildlife, and negotiated contracts that allow wildlife to access private land during certain times of the year. Deals like these are the exception rather than the norm, but they represent a fundamentally different choice in the raid-or-trade calculus. They involve groups that acknowledge prior use rights and seek gains from trade. Understanding how and when these trades occur is an important first step to finding ways to lower the costs of negotiation enough to encourage more trading, and less raiding, on federal rangelands. The brief case studies that follow explore several of these examples in greater detail. They provide lessons learned for resolving range conflicts, illuminate obstacles to encourage more widespread trades, and suggest several opportunities for reform. The Grand Canyon Trust, a conservation group, has negotiated grazing buyouts with ranchers in Utah since 1996. Between 1999 and 2001, the group spent $1.5 million to purchase base properties with about 350,000 acres worth of grazing permits in and near the Grand Staircase-Escalante National Monument. The group considered the properties and their associated federal grazing allotment as ecologically sensitive and important areas worthy of protection from the impacts of grazing and sought to purchase the base properties as an effective conservation strategy. The Trust’s efforts were complicated due to the use-it-or-lose-it requirements on federal grazing lands. The grazing permit that came along with the properties required the group to graze cattle on the allotment or lose the permits. The value of the grazing permits was capitalized into the value of the base property when it was sold to the group and represented a significant financial investment on the part of the Trust. Originally, the Trust offered to relinquish the grazing permits to the BLM if the agency declared the allotments closed as part of its land use plan. But soon other ranchers applied to the BLM to have the grazing permits transferred to them instead since the Trust had no intent to graze. When that happened, the Trust decided to purchase the minimum number of cattle to graze on the allotment in order to retain control of the grazing permits. This case study illustrates an important lesson for promoting trading on federal rangelands: Even if grazing rights are well defined and respected, they must also be transferable to groups such as the Grand Canyon Trust. Current grazing rules, however, generally prevent ranchers from trading permits to environmental groups who do not intend to run livestock on the land. And because the base property requirement attaches grazing permits to specific ranches, the cost for environmental groups to acquire such base properties is increased if the grazing permit values are capitalized into the ranch property value. Such requirements clearly raise the costs of trading for groups that want to use rangelands for purposes other than grazing. The use-it-or-lose-it requirement may be less of an obstacle for environmental groups that view livestock grazing as consistent with their conservation objectives. These groups can acquire base properties and use the associated grazing permits for livestock grazing under their own care and management while ensuring adequate environmental protection of the federal rangeland. For some conservation groups, cattle grazing may be seen as a lesser of two evils—with the greater threat coming from commercial and residential development. In some cases, this has led to cooperative arrangements between environmental groups and livestock owners. Groups such as The Nature Conservancy (TNC) have acquired base properties along with the associated grazing permits in an effort to outbid developers on the western landscape. Groups such as TNC would rather see the land used for cattle grazing than for large-scale commercial or residential development and may even view livestock grazing as compatible with responsible range stewardship. In 1996, TNC acquired the Dugout Ranch in Utah, just beyond the border of Canyonlands National Park, and announced that it would continue to use the ranch as a livestock operation. 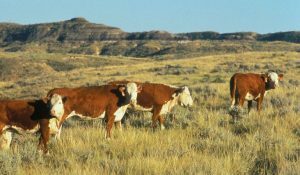 TNC would ensure that livestock grazing was done in a manner that was consistent with the group’s conservation objectives to promote biodiversity and preserve the scenery and other environmental assets on the associated federal rangeland. The group acknowledged that the purchase was designed in part to prevent the land from being acquired by developers. The group’s Utah state director said the effort was meant to move “beyond the rangeland conflict and into collaborative efforts with livestock operators.” Moreover, “cows are better than condos. Increasingly in the West, this is the only choice we face.” Thus, in the case of The Nature Conservancy’s specific objectives—to prevent commercial and residential development and maintain certain environmental assets on the grazing allotments—cooperative buyout solutions were possible within the existing structure of the federal rangeland system. Other conservation groups have been able to work within existing federal grazing policies to accomplish their conservation objectives through trading instead of raiding. As the example of the American Prairie Reserve (APR) illustrates, however, such trading can only be accomplished under specific circumstances due to the constraints of the federal grazing system. APR is a large-scale private conservation project seeking to protect and restore the prairies of eastern Montana, an ecosystem that has long been impacted by agricultural and ranching operations. The group aims to acquire private ranches in the region along with the associated federal grazing permits to create a landscape-scale conservation area larger than Yellowstone National Park. In contrast to other U.S. environmental groups, APR seeks to accomplish its mission through market forces by purchasing private lands and grazing rights from ranchers, rather than through litigation or political processes. They are trading rather than raiding. APR acquires private base properties and restores the land back to the prairie landscape that once prevailed across much of the West. Once the group acquires base properties, they often tear down ranch buildings, pull up fences, and remove the cattle herds that have dominated the landscape for the last century. In place of the cattle, APR seeks to restore the wild bison herds as well as other wildlife species. Today, APR owns or leases more than 300,000 acres in the region and maintains a herd of more than 600 genetically pure bison. Throughout the region, federal grazing allotments are interspersed with large private ranches, often in a scattered checkerboard of land tenure. This fact can complicate landscape-scale conservation efforts, which aim to protect vast areas in which wildlife species such as bison can roam freely. The existence of federal grazing allotments means that APR must navigate the BLM’s grazing policies to accomplish their conservation objectives. In particular, the group must be able to acquire base properties and the associated grazing permits without being forced to graze cattle on the federal allotments. APR is able to do so due to a fortunate fact of the BLM’s livestock classifications. Bison, it turns out, are considered a class of livestock under existing BLM rules. When APR acquires a base property with a public grazing allotment, the group applies to the BLM to change the class of livestock so that bison can graze the allotment instead of cattle. 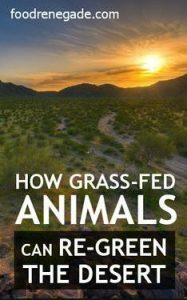 Once the BLM approves the livestock change, APR is able to maintain control over grazing allotments without being forced, as the Grand Canyon Trust was, to graze cattle on the land. APR also requests to change the allotment grazing season to year-round grazing. In many cases, APR is also permitted to remove interior fencing to manage their private lands along with the public lands as one common pasture. The example of the American Prairie Reserve, while thus far successful, reveals a fundamental obstacle to adopting similar conservation approaches elsewhere. The use-it-or-lose-it requirement on federal grazing lands limits the type and scope of conservation work that can be accomplished through private land transactions and grazing permit transfers. Consider how a similar group might attempt to replicate APR’s model in a place like Nevada. Suppose that instead of protecting bison habitat the group sought to create a landscape-scale conservation project to protect desert tortoises. Not content to use lawsuits or political means to achieve their goals, the group would purchase private ranches and leverage the associated public grazing rights to protect tortoise habitat. Under current grazing rules, however—specifically the requirement to graze livestock or lose the permit—a private conservation project such as this would likely not be possible. While in APR’s case, bison can be considered livestock, a conservation group in Nevada would have a much more difficult time making the case that desert tortoises qualify as livestock. The APR model is feasible within the existing federal grazing system, but it is unlikely that this approach is scalable to other regions or other species. Given their particular interest in bison conservation, a group like APR may view trading as a practical and attractive alternative to raiding through political or legal means to influence federal rangeland management, but the ability of other groups to utilize similar trading mechanisms in other contexts is limited or nonexistent. Despite these obstacles, voluntary grazing permit buyouts have occurred on a limited basis across the western United States. Conservation groups such as the Conservation Fund, Grand Canyon Trust, Rocky Mountain Bighorn Sheep Association, the National Wildlife Federation, and the Oregon Natural Desert Association have purchased—that is, traded for—grazing permits from ranchers and sought to retire them. Such efforts are costly and tenuous. They are able to occur only on a case-by-case basis and at high transaction costs. Yet buyouts are increasingly seen as a practical way to achieve conservation outcomes on federal rangelands. Once a group buys a rancher’s grazing permit, they often request that the federal land agency retire the grazing permit. This requires that the BLM or Forest Service agree to formally change the area’s management plan to cancel grazing on the allotment. Even if conservation groups can convince the federal land agencies to retire permits they have acquired, the retirements are not guaranteed, nor are they permanent. The area management plans come up for revision every 10 or 15 years, in which case the agencies could re-open the allotments for grazing. Only Congress can permanently retire a grazing permit. Wild Earth Guardians, a nonprofit environmental organization, is pursuing the voluntary buyout strategy to protect grazing allotments in the Gila National Forests in New Mexico. According to Bryan Bird, one of the group’s directors, the strategy represents “a free-market approach” to the longstanding confrontation between environmental groups and ranchers. “We’re trying to provide a viable opportunity for grazing permittees to voluntarily sell their permit,” says Bird. The group views the buyout approach as a practical means of resolving land-use conflicts, particularly with the reintroduction of Mexican gray wolves in the region in 1998. The wolves, a protected species, often kill livestock and create acrimony between ranchers and conservationists. The Wild Earth Guardian’s buyout program works as follows: The group negotiates a private agreement with a rancher to acquire their grazing permit. Wild Earth Guardians then approaches the Forest Service to request retirement of the grazing allotment. The Forest Service evaluates the proposal and decides what to do with the grazing permit. Wild Earth Guardians does not own the grazing permit. This is a tenuous process. The Forest Service has traditionally been reluctant to retire allotments. Wild Earth Guardians acknowledges that the agency could simply issue the grazing permit to another rancher—a function of the use-it-or-lose-it principle governing federal rangeland management. In at least one case, however, Forest Service officials with the Gila National Forest have been willing to approve temporary grazing retirements of grazing permits purchased by Wild Earth Guardians. So far, the group has reached only one buyout deal with a rancher in the region, but it has reportedly received interest from several other ranchers. Elsewhere in the United States, environmental groups have pursued similar buyout strategies to resolve livestock-wildlife conflicts. Since 2002, the National Wildlife Federation has secured more than half a million acres of federal grazing land outside Yellowstone National Park to protect habitat for bison, grizzly bears, and wolves. The group does so by negotiating voluntary buyouts with ranchers and relying on federal land agencies to retire the allotments. Rick Jarrett, a Montana rancher, had a permit to graze cattle on 8,000 acres in the Gallatin National Forest, but his livestock operation was increasingly threatened by growing populations of grizzly bears and wolves—both federally protected species. “I was looking for solutions, not playing politics,” Jarrett said after reaching a deal to sell his permit to the National Wildlife Federation. “I guess that’s why it worked so well.” The Forest Service, in this case, agreed to retire the grazing permit to alleviate the wildlife conflicts on the allotment. Trading solutions such as the ones described above, however, are not without their critics. Legal disputes from livestock associations have challenged the ability of environmental groups to acquire base properties without the intent to graze. Several of the cases described above are controversial among local ranchers and ranching communities concerned with the decline of traditional rural life. Moreover, ranchers often view the emergence of environmental values on the federal rangeland as a threat—even when its goals are accomplished through trading instead of raiding. In the mid-1990s, the BLM attempted to establish “conservation permits” that would allow grazing permits to be used for non-grazing conservation purposes for up to 10 years. However, the proposal was met with considerable opposition from ranchers and was ultimately ruled against by the courts. Even efforts by groups such as the American Prairie Reserve, which seek to purchase private ranches at market value, are often controversial among local residents who are skeptical of the conservation group’s agenda and wary of efforts to remove cattle from the landscape. Part of the opposition to these trading solutions comes from the effect of simultaneous “raiding” strategies pursued by many other environmental groups to influence federal rangeland management. While organizations such as American Prairie Reserve and Grand Canyon Trust may pursue honest bargains, ranchers are often simultaneously threatened by legal and political actions aimed at reducing their ability to access federal rangelands. Trading solutions such as the ones described above often occur under the backdrop of a broader federal environmental regulatory landscape that is often threatening to ranchers. Endangered species policies, for instance, may undermine their ability to protect their livestock from harm. Federal land policies may gradually reduce their grazing privileges to protect environmental resources. These forces contribute to the common perception among ranchers that they are being regulated off their land and that their livelihoods are at risk. Thus, some ranchers believe that grazing buyouts and other “trading” approaches are merely a final blow to ranchers whose livelihoods have already been squeezed by regulations that are, in effect, kicking them off the federal rangeland. Regulations force ranchers into becoming willing sellers by devaluing their ranching operations to the point where there is no feasible alternative other than to sell. The value of ranchers’ base properties are significantly affected by such regulatory approaches, thus making buyouts more feasible for conservation groups to eventually purchase once ranching operations become unprofitable. 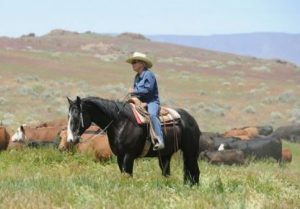 Federal designations such as national monuments have made it more difficult for ranchers to operate in many regions, and increasing recreational demands for federal grazing allotments have posed additional challenges for grazing permittees. As these concerns suggest, raiding still prevails over trading on the western rangeland. However, the case studies cited above suggest that the trading approach is a viable—and often preferred—strategy to address rangeland conflicts. Several groups such the American Prairie Reserve view trading as a superior approach to accomplishing their preferred environmental outcomes. Moreover, these examples help identify several grazing policy reforms that, if addressed by policymakers, could encourage less raiding and more trading in the federal grazing system.